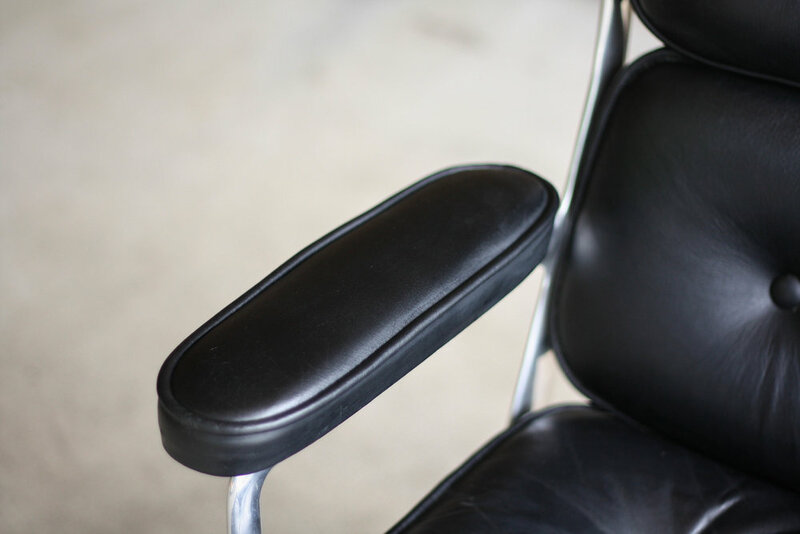 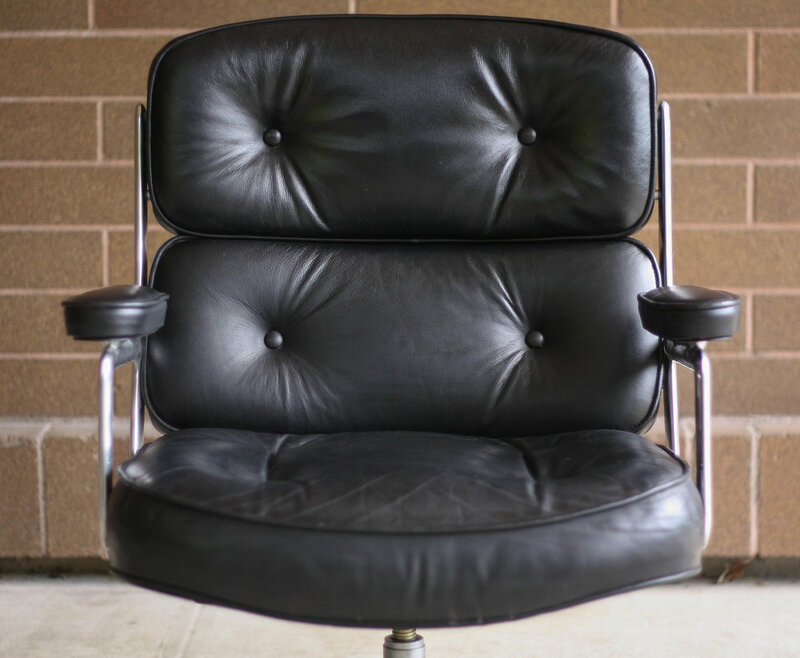 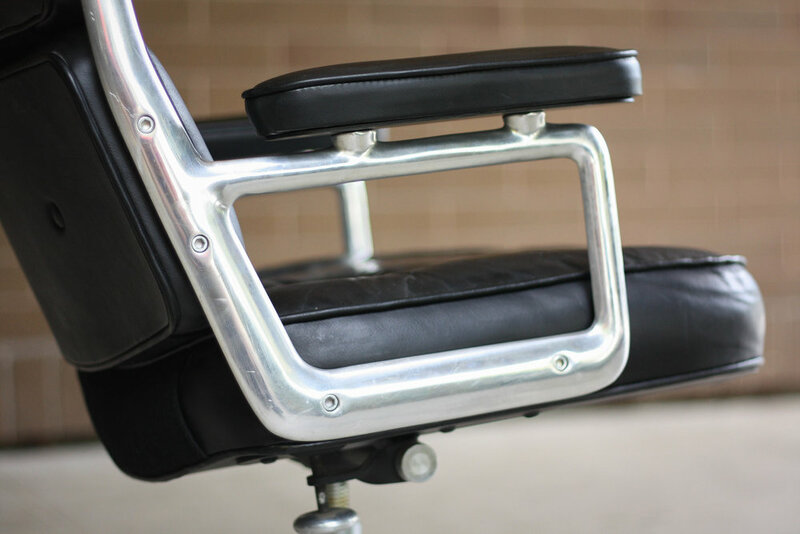 Black leather and Aluminum frame make up the beautiful design of the iconic Eames Time Life Chair. 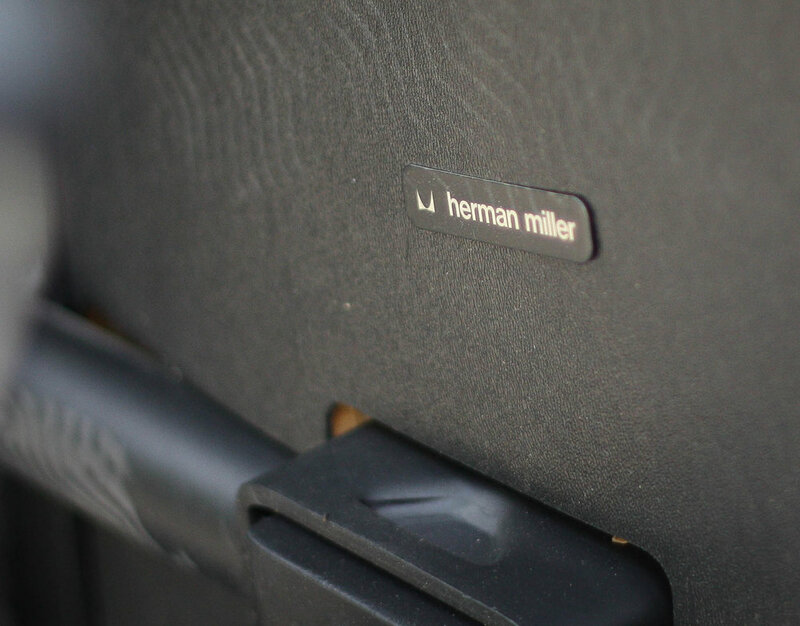 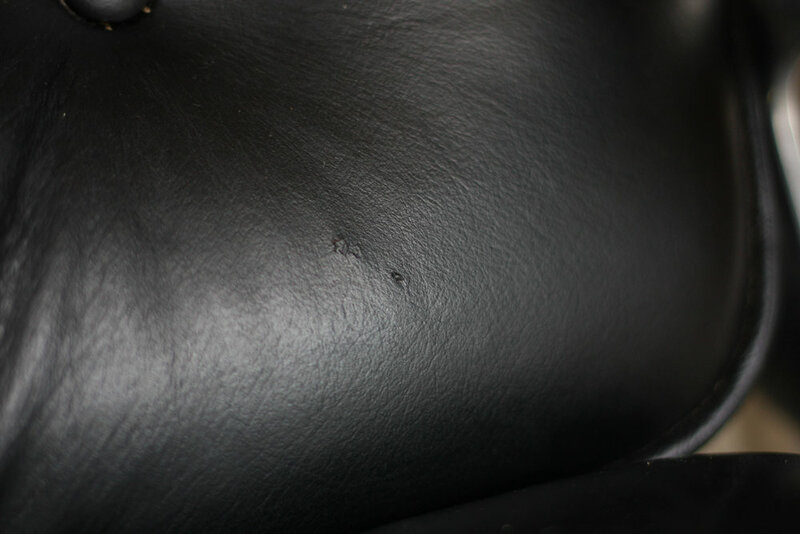 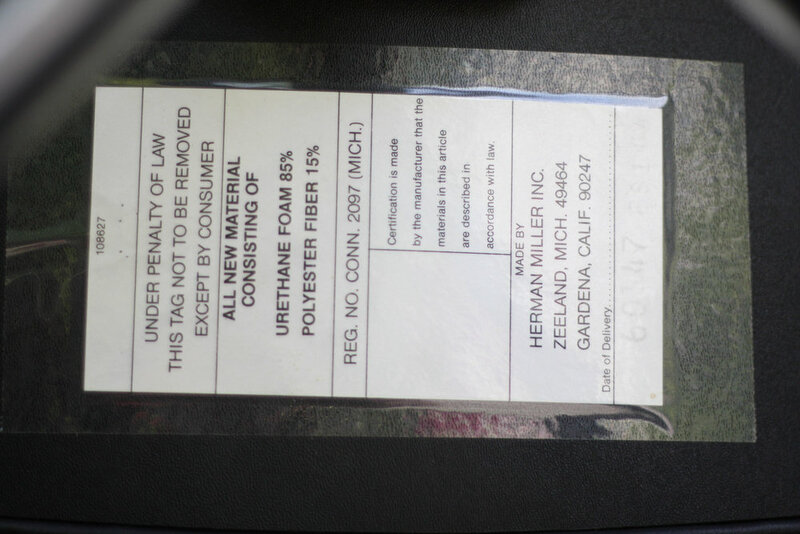 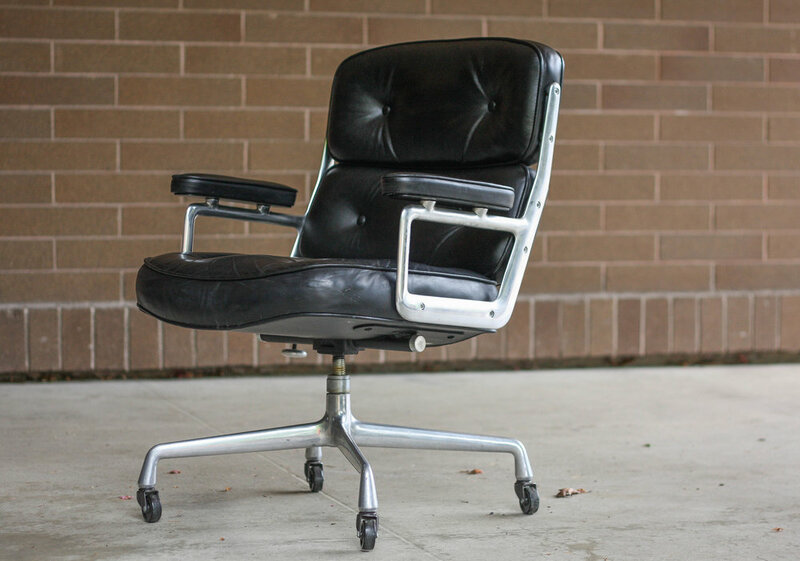 Herman Miller labels underneath likely date this chair to the 1970s. 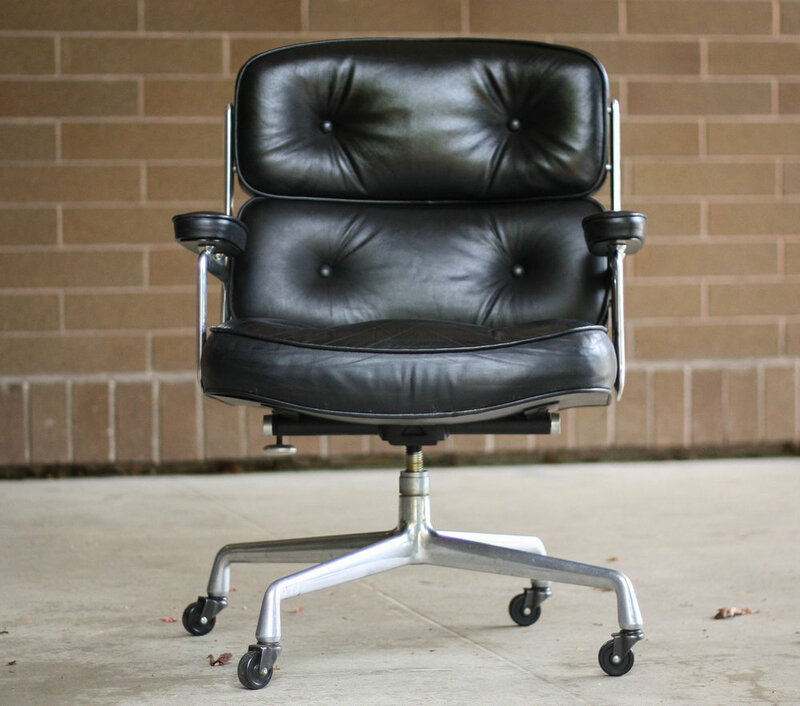 Overall in great vintage condition with minor signs of use as noted in the photos.